influencer marketing « Hot & Delicious: Rocks The Planet! Future Social Media 2018 Conference – Hot & Delicious Rocks The Planet! LIVE podcast. Future Social Media 2018 – Hot & Delicious Rocks The Planet! podcast feat. Dan Wilkinson and Craig Mack. DOWNLOAD the PODCAST via iTunes – #184 Future Social Media 2018 – Hot & Delicious Rocks The Planet! feat. Craig Mack. Hot & Delicious: Rocks The Planet! weekly iTunes podcast recorded LIVE at International Business Review Conference – Future Social Media 2018 at The Grace Hotel in Sydney with global award-winning Social Media Strategist Dan Wilkinson and special guest Social Media Strategist, Craig Mack. Gen Z, Gen Alpha, Social Social Media & the UX – Driving Business and Brand Objectives with Content Designed for the User Experience. Stopping The Ego-Led Need for Brand Control – Brand First Planning. Bringing Brand, Media, Digital/Creative Agencies and Platforms together early to avoid retro-fitting advertising content not suited for social media. Driving The Next Wave of Influencer ROI – Upskilling Influencers + Driving Demonstrable ROI. Not just beauty products on a blanket on the beach. Channel Neutral Ideation, Multi-Channel Opportunities & The Next 5 years. Dan Wilkinson is a Global Award-Winning Social Media Strategist and Content Producer who has worked with the likes of Mondelez (Cadbury Dairy Milk Chocolate, Philadelphia Cream Cheese), PepsiCo (Doritos, Smiths Chips), Microsoft (Xbox), Ferrero (Nutella, tic tac, Kinder Surprise), Cancer Council Australia, Plant Life Balance AR Greening App, Cherry Blooms global cosmetics brand & many more. He is also the founder of the Hot & Delicious Rocks The Planet! business, brand and iTunes weekly entrepreneurship podcast. Future Social Media 2018 – Hot & Delicious Rocks The Planet! LIVE podcast feat. Dan Wilkinson and Craig Mack. This entry was posted in entrepreneur, Lifestyle, Podcast, Social Media and tagged ambition, AR, Augmented Reality, blog, blogger, Bondi, Bondi Beach, Channel Neutral Ideation, Colloquial, Colloquial Australia, content marketing, Dan Wilkinson, digital media, digital nomad, digital strategy, entrepreneur, entrepreneurship, Future Social Media, Future Social Media 2018, Gen Alpha, Gen Z, Hot & Delicious, Hot & Delicious Records, Hot and Delicious, Hot and Delicious Rocks The Planet, hotndelicious, influencer, influencer marketing, influencers, International Business Review, International Business Review Conferences, podcast, podcaster, podcasting, Return On Investment, ROI, RUOK? Day, social media, social media strategy, success, Sydney, The Grace Hotel, travel, Virtual Reality, VR, wanderlust. 3 Crucial Tips – Social Media Strategy, ROI & The User Experience 2018. Hot & Delicious Rocks The Planet! Generating more sophisticated Strategy and Content for your brand! Photo credit: Dan Wilkinson. Hot & Delicious Rocks The Planet! – Global Award-Winning Social Media Strategy & Content Production for your brand. Well now, what an amazing year 2017 has been! After taking the leap of faith and leaving my role as Social Media Lead at SapientNitro Australia to step back into my own Social Media Strategy & Content Production business, I have relocated to Sydney from Melbourne (via Los Angeles) to take on Cancer Council Australia as a client, significantly diversified our depth of experience across a range of different industries, lectured social media strategy in university at Macleay College in Sydney for the first time, had my own radio show on Bondi Beach Radio and run a series of live podcasts including the International Business Review Conference in Melbourne just 2 weeks ago! Over the past year or so, Hot & Delicious: Rocks The Planet! have worked Cancer Council Australia, Planet Life Balance Virtual Reality Greening app, Moula fintech, Mahlab Agency (global B2B business, hbf insurance), REBORN Agency, and Cherry Blooms global cosmetics brand providing a range of services including a full audit of organisational digital ecosystems and assets, the generation Best Practice Social Media Playbooks and Monthly Reporting templates, creation of systems and processes to improve internal/external ways or working and 2-3 year strategic roadmaps. 3 key points have only further solidified in my mind over this time. We as Social Media Strategists, Creatives and Account Management teams need to push our teams and our clients to be more sophisticated in the creation of through-the-line strategies and content that generate Social Social Media designed for the User Experience, Funnel Strategies that drive ROI and evolve our approach for the The Next Wave of Brand Influencer Campaigns. Inspirational quotes do zero for your brand objectives unless you’re a meditation/yoga business or run a speaker agency, cat videos and dog memes aren’t suitable unless you’re Whiskas or Chum and generic lifestyle/beauty products laid out on a towel on the beach is just not doing much of value to sales or a connection with your brand. Social Social Media + UX – Generate Content That You’d Want To See In Your Own Mobile Newsfeed. Don’t use social media to yell at people! Billboards ≠ Effective Content. Create a Funnel Strategy. Create strategic content and advertising campaigns to drive results and client ROI. Design or re-design your digital ecosystem with specific roles. Assess your current digital ecosystem. Determine where your target audience are playing. Assess what ad solutions best suit your objectives and target audience penetration. Ladder your Content Pillars -> Social Media Objectives -> Business Pillars. Utilize your content and ad spend as part of a Funnel Strategy. The Next Wave of Brand Influencer Campaigns – Pivot from the wanna-be Instagram model to working with and upskilling influencers to create campaigns with a measurable uplift in Sales and Return On Investment. Want to delve into this further? Check out this LIVE at Future Social Media 2017: Social Social Media + UX, Funnel Strategy and The Next Wave of Brand Influencer Campaigns feature presentation and podcast that I recorded with Carat media agency Senior Business Manager, Harry McGoldrick at International Business Review Conference 2 weeks ago and download the accompanying deck/resources here! Social Media Strategy, Content Production, Monthly Social Media Calendars, Best Practice Social Media Playbooks, Community Management & Monthly Reporting templates. Complete our Hot & Delicious: Rocks The Planet contact form below and we can start building your presence today. 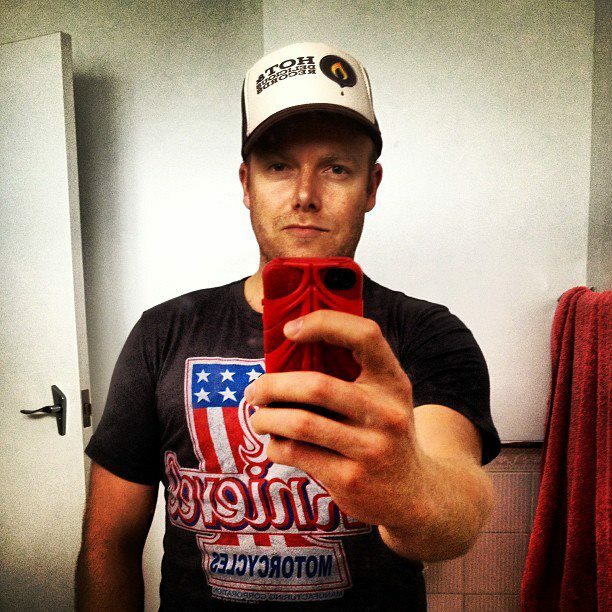 Dan Wilkinson works as a Manager, Marketing Strategy & Analysis – Social Media at SapientNitro Australia and is founder of music industry biz, Hot & Delicious Group. This entry was posted in craft beer, Fashion, Lifestyle, Music, Podcast, Social Media, Travel and tagged app, author, B2B, B2B Marketing, beautiful, blog, blogger, blogging, brand building, Bulmers, Cadbury, Cancer Council Australia, Canon, Cherry Blooms, community management, content creation, content management, content marketing, content production, content strategy, copywriting, Dan Wilkinson, digital, digital marketing, digital media, digital strategy, Download, DSLR, entrepreneur, fintech, Free, Greening, happy, Hot & Delicious, Hot & Delicious Group, Hot & Delicious Records, Hot & Delicious Rocks The Planet, Hot and Delicious, Hot and Delicious Rocks The Planet, hotndelicious, hotndelicious rocks the planet, influencer, influencer marketing, inspiration, inspire, live each moment, Mahlab, Mahlab Content Agency, marketing, Melbourne, Moula, Moula Money, new music, Peroni, Philadelphia Cream Cheese, photographer, photography, Plant Life Balance, podcast, podcaster, podcasting, producer, production, REBORN agency, shot of the day., SLR, social media, social media content, social media marketing, social media monitoring, social media strategist, social media strategy, startup, strategist, strategy, video, Virtual Reality, writer, YouTube.